Geeking out over stuff is great- once you know what it is. You’d think that vapers are so busy blowing their clouds, they wouldn’t find the time to talk. Good luck typing #vaping into Twitter and finding “not much going on”. If vapers aren’t losing their minds over latest technology such as SMOK’s upcoming AI, they’re yammering on about the biggest debate of all; PG vs VG. If PG means nothing more to you than “Parental Guidance” on a cinema booking, you’ve come to the right place. 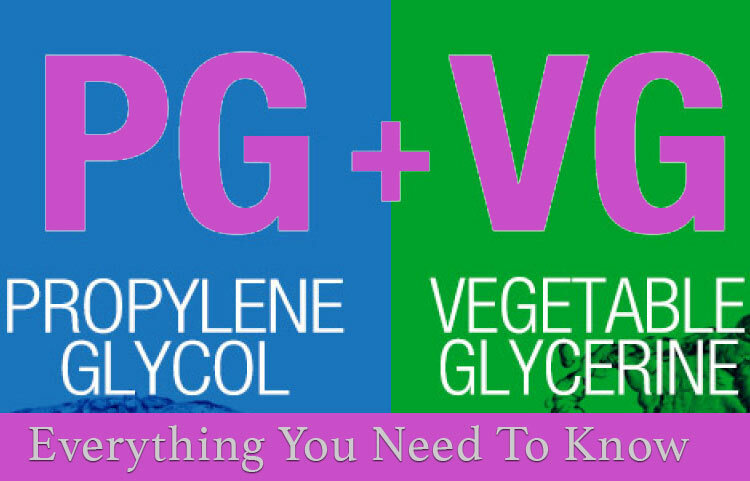 We’re covering what PG/VG is, how it works, what difference it makes, plus what’s best for you. PG and VG- What Are They? Ok, we’ll admit it. We’ll never be able to compete with cigarettes. They’ve got 7000 chemicals (hundreds of which are known to be harmful or cause cancer). E-liquids have just three ingredients- rising to four, with nicotine. Two of those ingredients are PG and VG. When you buy e-liquids, you’ll see that the PG/VG is marked as a ratio. Propylene Glycol is what it stands for. It’s a colourless, odourless alcohol (not the drinking type- just the chemical formula) that acts as the flavour carrier and source of “throat hits” in e-liquids. It didn’t come out of nowhere- Propylene glycol has been used for decades in shampoo and baby wipes, ice-cream, coffee-based or fizzy drinks and asthma inhalers. You’ll even find it in theatrical fog machines. You’ll mostly see it as a ratio of the two most popular varieties of e-liquids: 70/30 PG/VG or 50/50 PG/VG. Vegetable glycerin is what is stands for. Just like propylene glycol, it’s a colourless, odourless and sweet-tasting liquid (that’s technically classed as an “alcohol” due to its atomic composition). It’s thicker and more viscous than propylene glycol and is the ingredient that controls the level of vapour you’ll get from your juice. Other uses include: A ton of everyday household items. VG is used in cough syrups, ointments, creams, as a solvent in food flavourings and colourings, plus beauty products like aftershave and deodorant. You’ll mostly see it as the other part of the “PG/VG” ratio. The most common VG ratios are the first half of 70/30 or 50/50. Simple. PG and VG contents are expressed as the format: “percentage PG/percentage VG”. A 50/50 juice has equal amounts of both. A 70/30 juice is 70% PG and 30% VG. You might occasionally see the ratios reversed, especially in the US marketplace, but which number belongs to which substance will be outlined on the pack. Both PG and VG are 100% safe for human consumption. The FDA (Food and Drug Administration) in the US officially stands at PG being generally “recognised as safe”. The “generally” part being applicable to most additives- you don’t down an entire gallon of the sweetener that’s used in Diet Coke. You consume it within the confines of common sense. VG is likewise classed as safe- it does, after all come from plant oils. Small amounts in food products etc. are fully safe. Gobble buckets of pure VG, and you will look at laxative side effects, though. Considering you’re vaping the stuff though, that’s unlikely to happen. 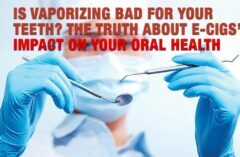 The only side effect that vapers can experience from PG and VG are a dry or sore throat, or increased thirst. We always recommend that you keep an eye on your hydration levels when vaping. Neither PG or VG have any evidence linking them to cancer. Nor does nicotine. Despite PG and VG both being fairly similar chemical substances, the differences in terms of vaping experience are huge. Get them wrong and you might be hashtagging your experience with #ew. Get them right? Welcome to vaping, done right. PG gives stronger throat hits: When choosing your ratio, remember above all, that PG gives stronger, cigarette-like “throat hits”. It’s part of what makes switching from smoking to vaping so easy. 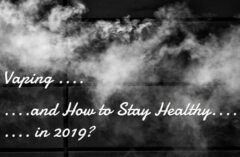 High PG ratios are popular for transitioning ex-smokers wanting that “smoking” experience, although some vapers find it difficult to tolerate- if that’s you, you may have switched from 70/30 to 50/50. VG has a smoother feeling on the throat. If the “cigarette feel” isn’t a priority, or your vaping made you ditch the ciggies a while ago, consider upping your VG for a smoother throat experience where “throat hits” are less of a priority. VG improves vapour production- VG might lack the throat hit that smokers crave (although that’s why e-liquids still contain both PG AND VG), but it’s the bee’s knees for denser, thicker vapour. Cloud chasers will opt for higher VG- and if you don’t know the difference between cloud and flavour chasing, check this out. Newbie vapers are often transitioning smokers. They tend to find a high VG content less important, although you do need some. Little or no VG will make vapour production weak. That’ll compromise the “smoking” feeling. It’s about finding the right balance. PG wicks more efficiently than VG- Wicks and coils aren’t something you’ll have to deal with if you’re using a super-convenient Pod Mod or vape pen, but more advanced vapers will be paying attention to this. One of the downsides of high VG e-liquid is the viscous nature of it. Being thicker than PG, this can affect how well it soaks into wicks. Wicks that aren’t fully “soaked” can lead to dry hits. PG is thinner, soaks in faster and makes dry hits less likely. Modern Sub-Ohm tanks and RDAs (rebuildable drip atomizers) are well-enough designed for this not to be an issue. Watch out for high VG juices if you’re using a basic clearomizer. PG carries flavour better- It’s a subtle difference, but it’s there. PG is near-tasteless, while VG has a slightly sweet flavour. VG basically interferes with flavour a bit more- something you’ll have noticed if you tried the same flavour in a PG-based versus VG-based version. To maximise flavour, opt for higher PG. To maximise it the geek way, adjust the settings on your variable wattage mod. Do not play around with volts and watts on a mech mod unless you know your stuff. Watch out for PG sensitivity- Some vapers are more sensitive to PG than others. It’s a rare reaction (and not a serious one), but if you’re sensitive to PG, you’ll find yourself with an irritated throat. It’s very, very rare for someone to ever need to remove PG entirely- the most you’ll face is picking an e-liquid that’s got a high VG ratio. Making The Choice- Which Is Right For Me? This is 100% personal preference. What do you want? Beastly, nuclear clouds? Up the VG. In it for the cigarette-like “throat hit?” Up the PG. Hell-bent on your clearomizer’s wick soaking liquid effectively? Keep the VG low. An unparalleled Sub-Ohm vaping experience? 70/30 is most popular. While 70/30 has become a bit of a staple, many vapers are turning to 50/50 ratios for efficient wicking that still gives a solid throat hit. If you still don’t know one from the other, pop into a local vape store where they will be able to advise. Flavour will always be a deciding factor when choosing your e-liquid. Transitioning smokers often choose tobacco flavours to start with- before inching their way closer to non-tobacco flavours. The “What E-Liquids Should I Choose” section of this post is something to read if you’re a transitioning smoker. It’s entirely up to you. You can vape with or without nicotine. As we covered earlier, nicotine does not cause cancer. The max legal strength under TPD-compliant liquids is 20mg, with the lowest going down to 0%/nicotine free. Most transitioning smokers start with higher nicotine, then work their way down. With Short Fills, your free nic shot mixed into a 60ml bottle will give a 3mg strength. The beauty of the Short Fill? You can tweak your own nicotine strength. A “Short fill” e-liquid is vape juice with zero nicotine content that are supplied in a larger bottle and short–filled, usually by 10ml. This allows you to add a ‘nicotine shot‘ to the e-liquid to make it up to the desired strength. You don’t see this in the US market, but in the UK, it’s a thing.